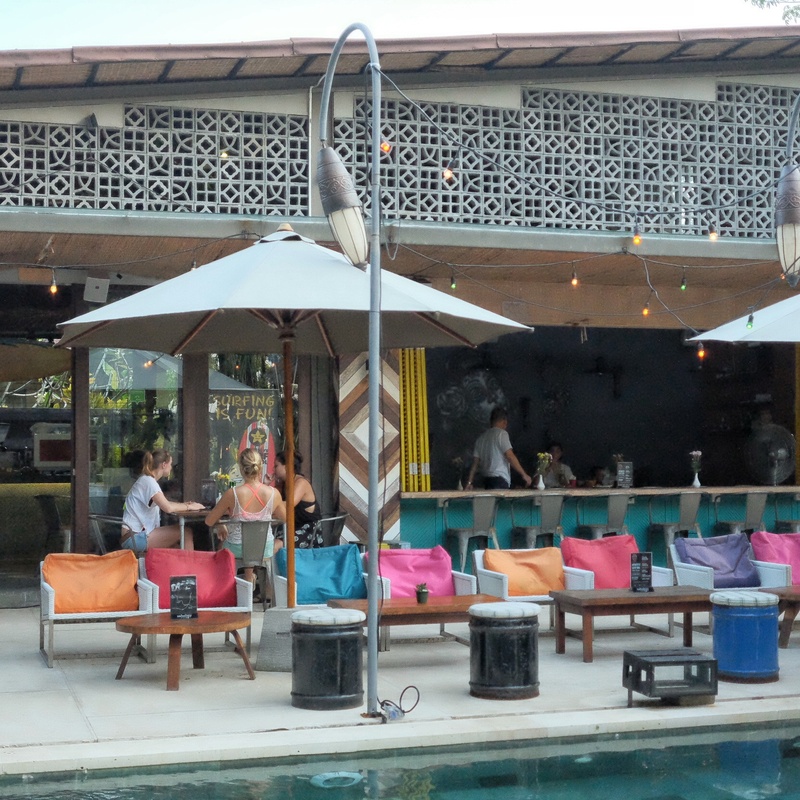 Located in the midst of Balangan area, La Pasion café has become one of culinary destination for this area. 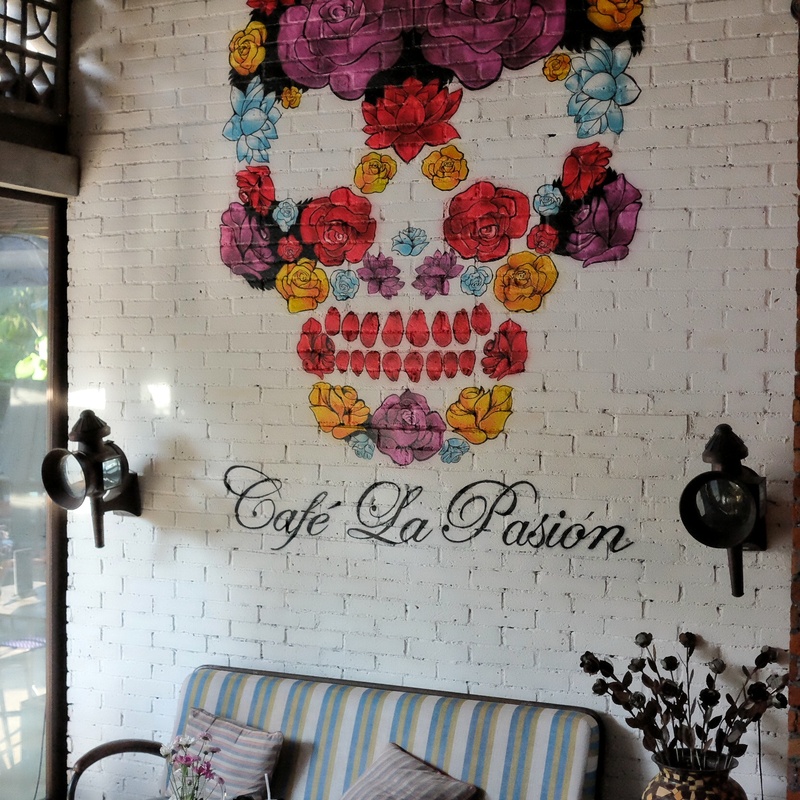 With years of experience in culinary and hospitality industry the owners of this café putting their passion to their own business and create La Pasion (used to be café La Vida). 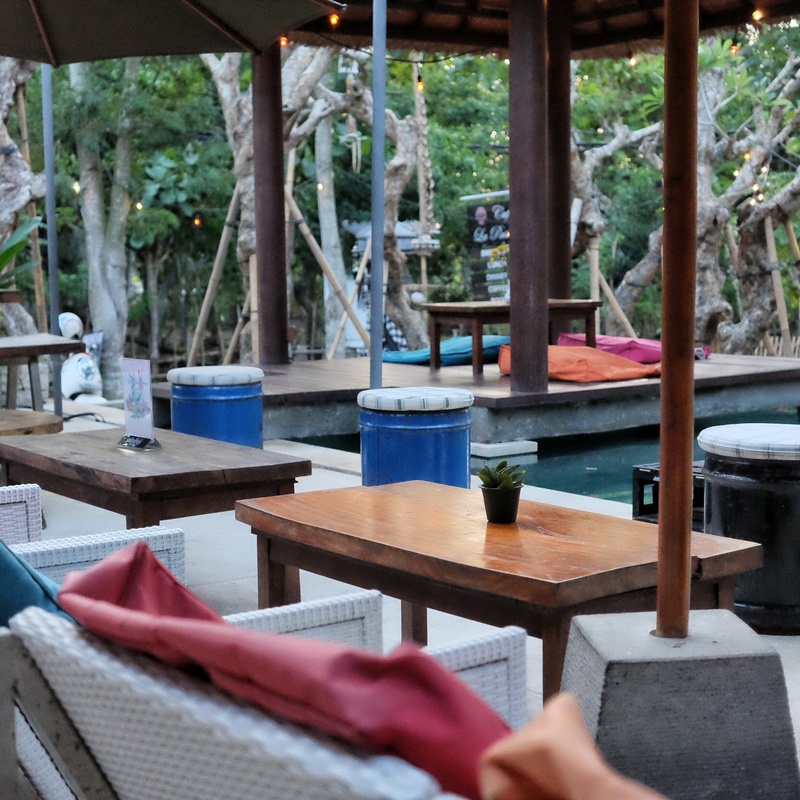 Like I said before this café was located in the midst of Balangan area, for me its kind a like a hidden gem surrounded with copious big trees. 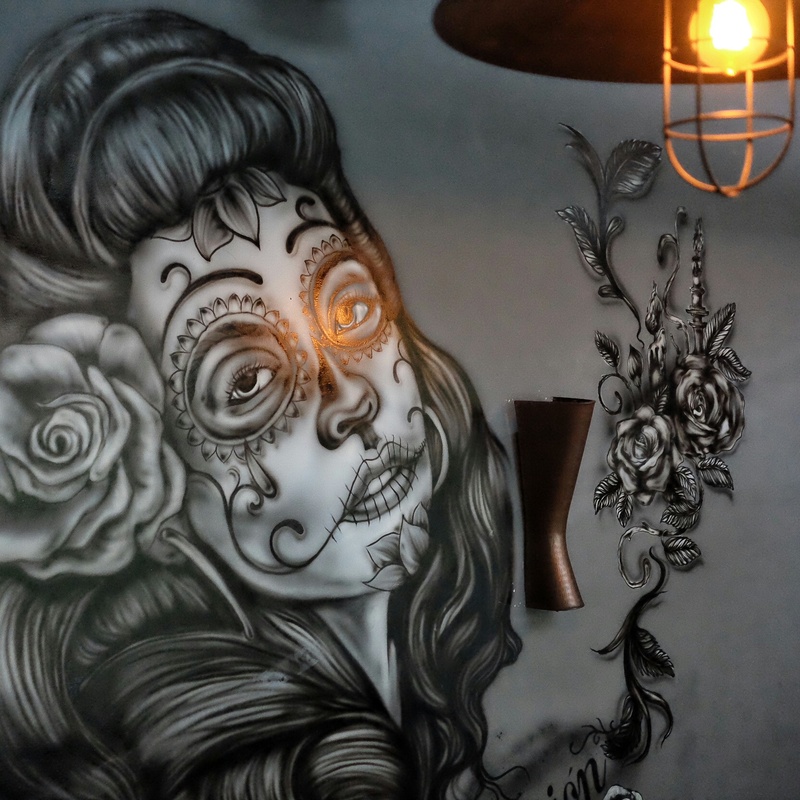 With its artful mural décor, cozy and casual ambiance; and its tantalizing Mexican food concept, makes this café a nice place to hangout with family and friends. This café has a plunge pool and it suitable for family with young children to play around, because the pool was really not that deep. Are you curious about the food? 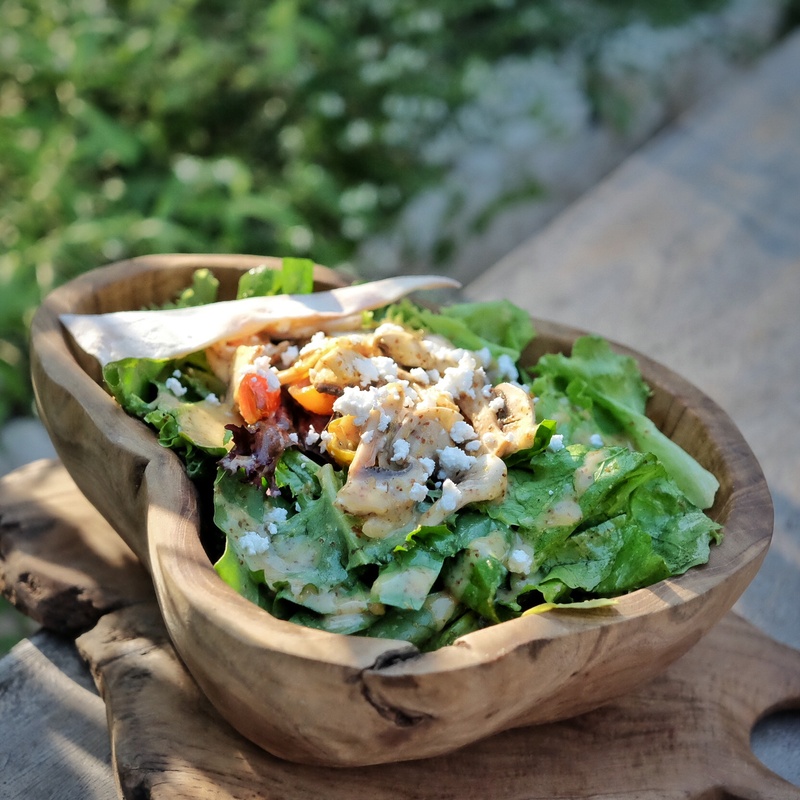 Well here are some that we tried, starts with their Spinach Salad (40K) this big portion salad consist of slice mushroom, tomato confit, watercress, feta cheese tossed in honey mustard vinaigrette dressing, the result was an amazing and tasteful salad with some sweet and refreshing flavors. 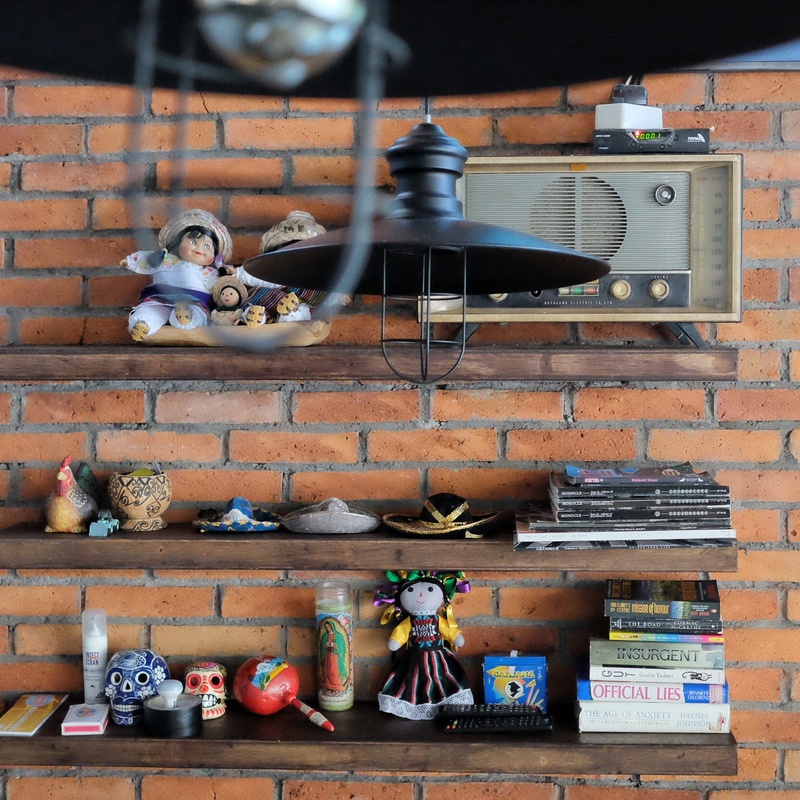 For the main, we have several options like tacos, pizza, quesadilla and many more. 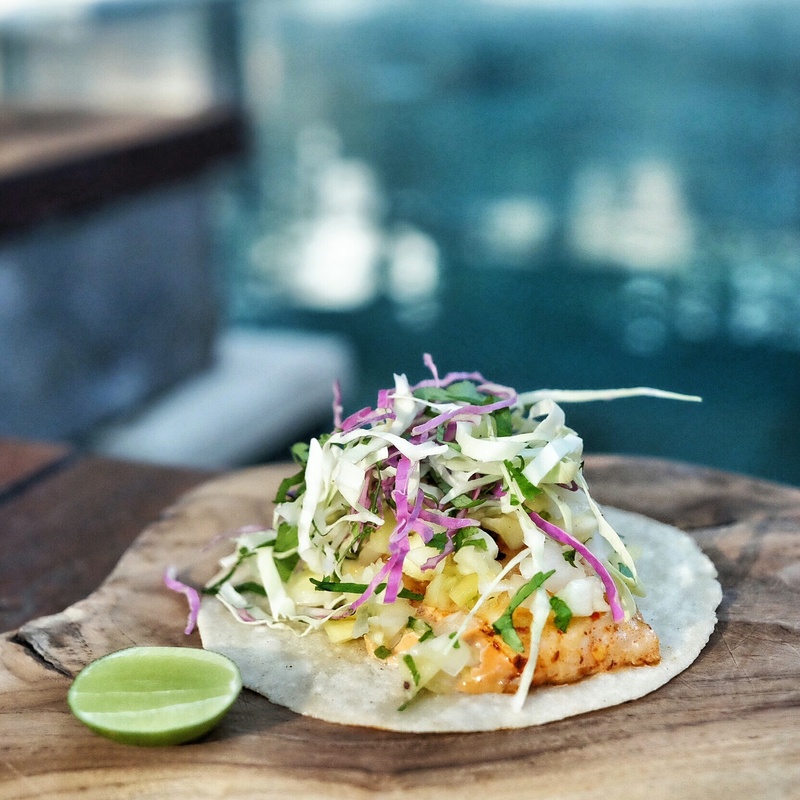 For fish lovers, try some of their Taco Baja (20K) it’s a fish taco seasoned with cajun, chiotle mayo and pineapple sauce on corn tortilla. 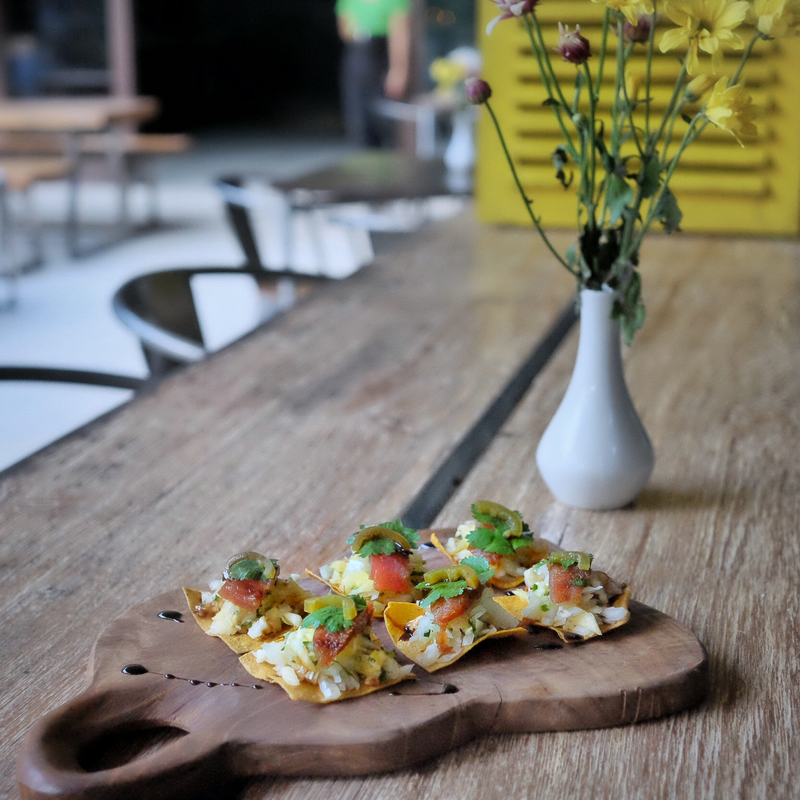 Or their crispy Tuna Tostada (45K) with fresh tuna in soy sauce, ginger, lemon grass served on crispy corn tortilla and topped with jalapenos; it’s a great mouth bite size meal. As for the pizza lovers, their Chicken BBQ Pizza (70K) should be on your “must try” list! 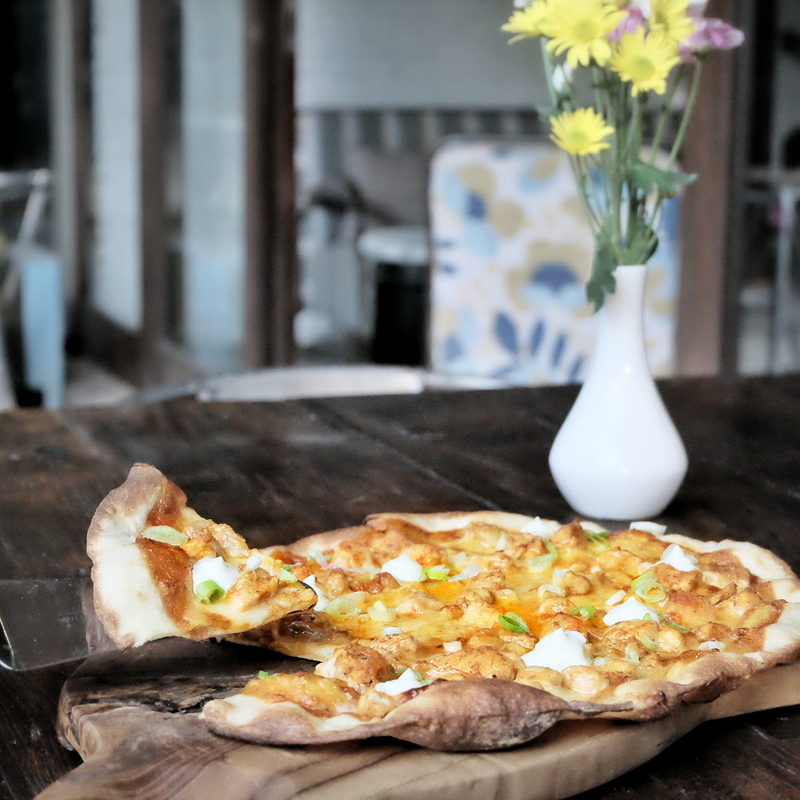 It’s a crispy thin flavorful pizza with smoky BBQ Chicken, mozzarella topped with spring onion and sour cream. The whole flavor combinations were so tantalizing and it’s kinda hard for me to eat just one slice. 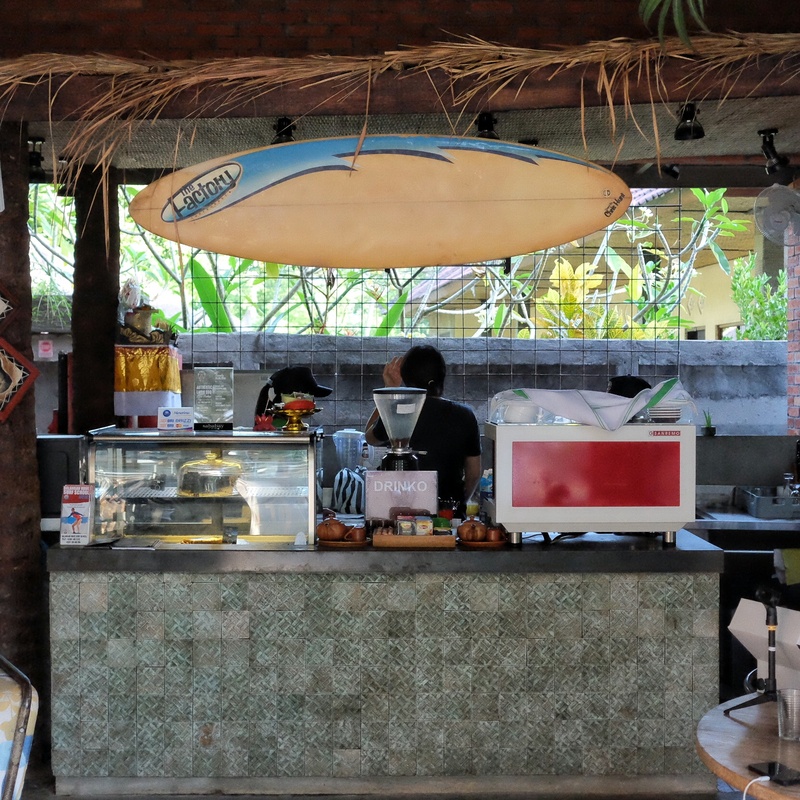 So whenever you’re around Jimbaran, Pecatu or Balangan area and craving for something tasty, just drop by to La Pasion Café in Balangan. 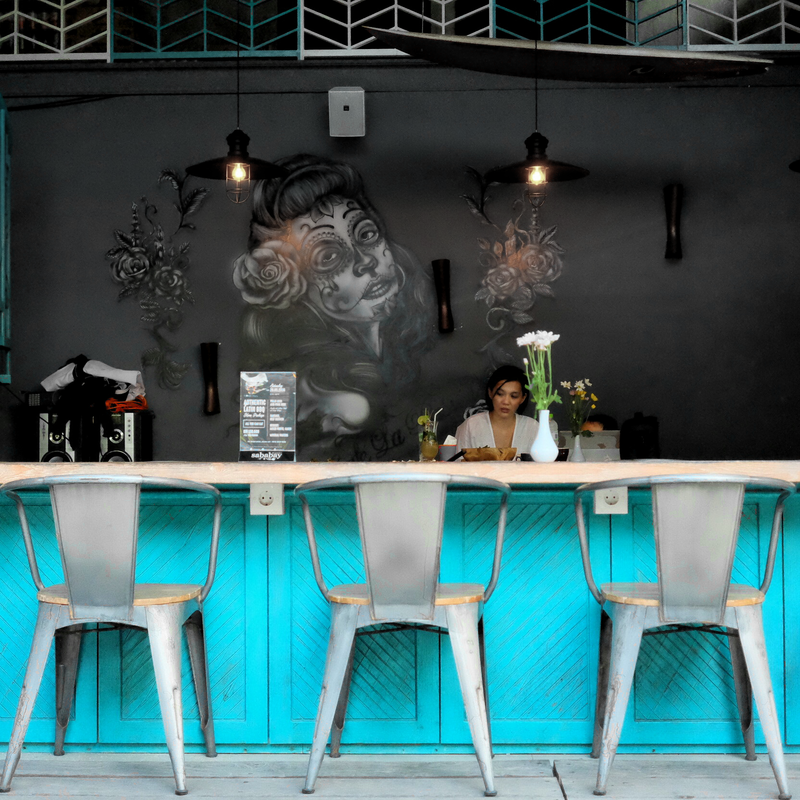 Their tasty food and cocktail will ready to greet you.